Meet Kayla, she’s a Bellevue native and lifelong competitive athlete. She fell in love with running at an early age, entering her first race at the age of 7. By 15 she transitioned to sponsored snowboarding, but after 4 years of competitive snowboarding and several severe injuries she transitioned back into the running circuit. 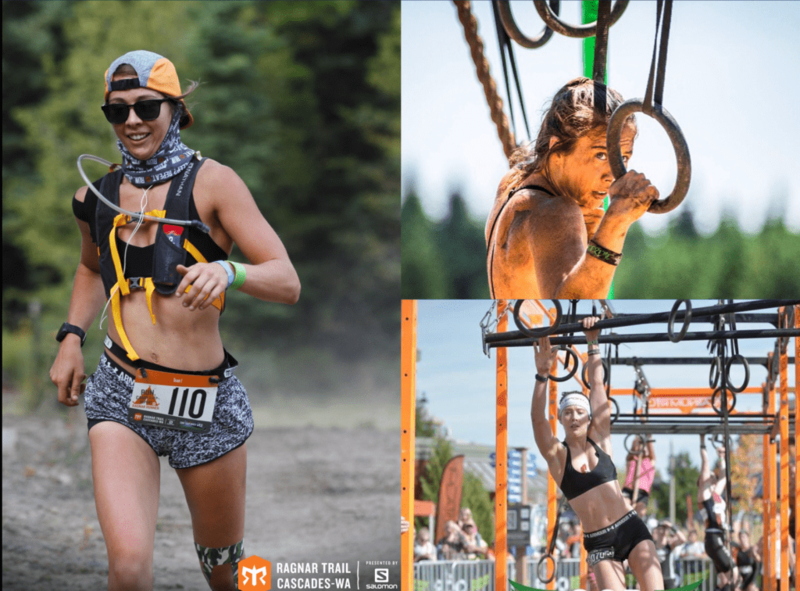 She’s now a competitive runner, with a true love for obstacle course racing! Check out Kayla’s website to read about her racing adventures and see her upcoming race schedule. Kayla was one of a handful of people last year to be invited to Under Armour’s Run Camp in Death Valley, she’s featured in this phenomenal Under Armour Run Camp video clip. Q: What is your favorite thing about Velo Sports Rehab? A: I can’t choose just one! All of the staff at VSR are wonderful! I know every time I come to VSR I will get the treatment I need and leave feeling better than when I came in. The staff is super knowledgeable and Dr. Seavey is incredible at treating my sore muscles and preventing any further injuries. Q: What activities do your treatments at Velo Sports Rehab help you to enjoy? A: Coming to VSR each week allows me to not only increase my weekly mileage, but helps my body recover faster from injuries I suffer during training. Without VSR, my workouts would not be as efficient because I would be spending more time recovering. Now that my body is feeling good, VSR will help me conquer my first IRONMAN this year! Q: What else would you like to share with us about your experience with Velo Sports Rehab? A: I want to say a huge THANK YOU to everyone at VSR. Without you guys, I wouldn’t be able to run at the level I do now. You guys are always there to greet me with a smile on your face, I appreciate ALL of you! Awe, thank you Kayla for the kind words! You are an inspiration and pure joy to be around. We love having you as a patient and look forward to continuing to support you in your racing excellence. We truly have the greatest patients at VSR and we are grateful for each one. Dr. Aaron Seavey demonstrates the second and third movement in the Functional Movement Screen (FMS), the hurdle step and in-line lunge. To learn more about what FMS is used for and see the first movement in the screen, the deep squat, check out our previous blog post for a demo by Dr. Adam Swick. Our gift to you this holiday season (until December 30, 2016), is a free Functional Movement Screen with Dr. Seavey in our Bellevue office or Dr. Swick in our Seattle office. Call us today to schedule your free screening, Bellevue – (425) 590-9208 or Seattle – (206) 420-3131. To schedule an onsite screening for groups of 8 or more at your business location email: amanda@velosportsrehab.com. Get To Know Dr. Adam Swick!